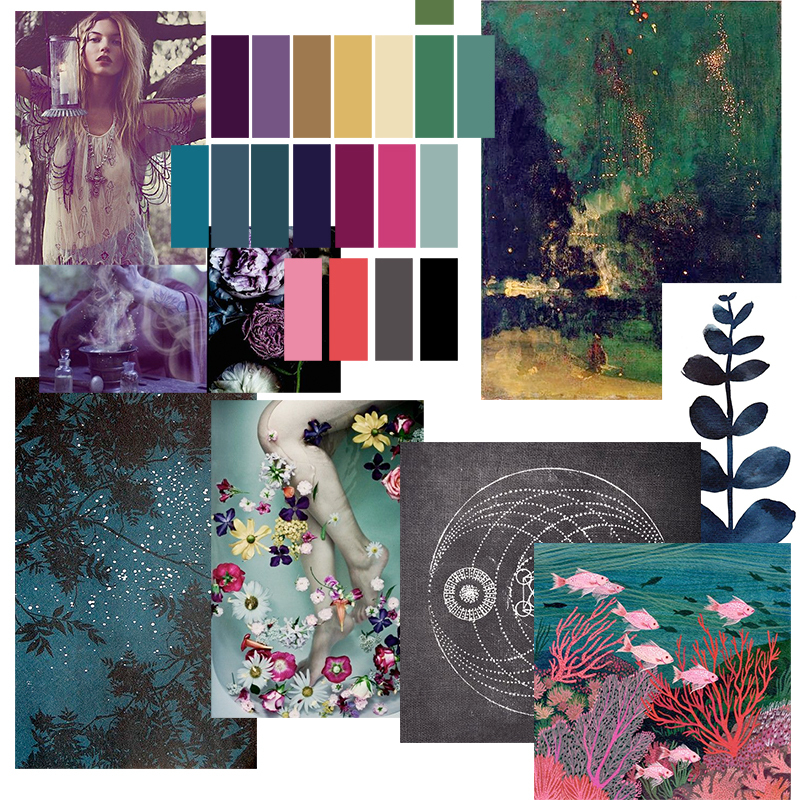 Mood board of images for color and mood inspiration. Pen and ink sketches and simple watercolor. Arranging drawings and such together. Final cover above and alternate idea below.